Excerpt: Nicolas Véron, Matthieu Autret, Alfred Galichon, Smoke & Mirrors Inc.
Accounting is not an exact science; it is rather a discipline that constantly requires its practitioners to make choices and frequent, non-obvious assessments. The way accounting standards frame these choices is certainly a driver of the quality of accounts, but that quality can never be taken for granted. Nicolas Véron, Matthieu Autret, Alfred Galichon, George Holoch (trans. 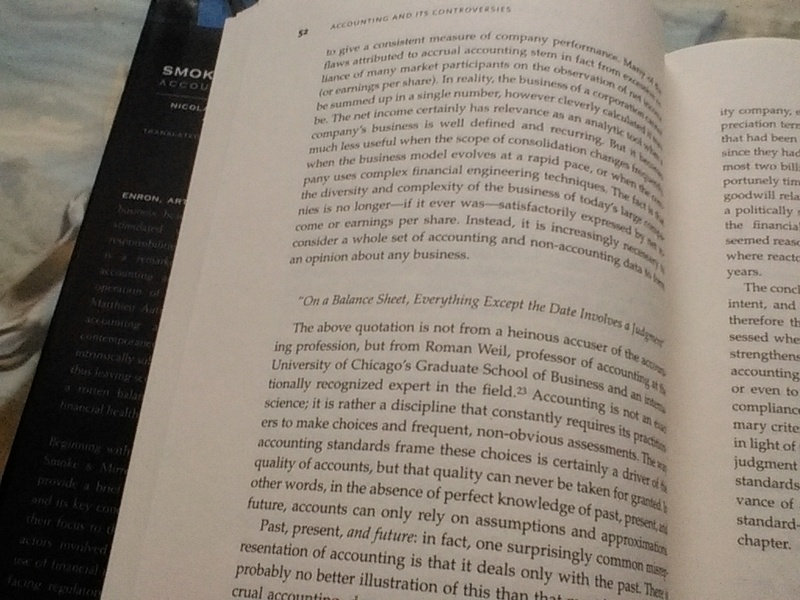 ), Smoke & Mirrors Inc.: Accounting for Capitalism (Cornell University Press: Ithaca and London, 2006), p. 52.